Use accents to liven up bulletin boards, desks, lockers, and cubbies! 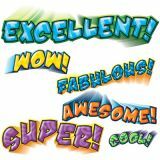 Can be used as name tags or labels, or to highlight student work. Twenty-four 6" x 8" sheets per package. Size of individual accents varies. 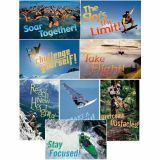 Inspire students with bold, upbeat messages and exciting photos. Eight colorful 11" x 17" posters. 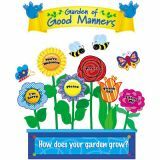 Includes 6 flowers, 16 bugs, and 2 banner titles to create a garden of good manners. The garden highlights the good-manner words and phrases Please, May I?, I'm sorry, Thank you, You're welcome, and Excuse me. 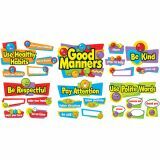 Along with a "Class Act" header (24" x 6") and 10 helpful reminders illustrated with bright Carson-Dellosa animal characters, this bulletin board set also features a six-page resource guide! 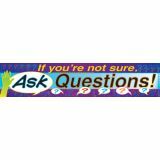 Largest illustration measures approximately 17" x 12". 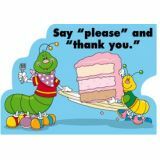 Show kids that manners matter. 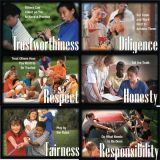 Display all year long to encourage positive behavior and motivate kids to make wise decisions every day. Largest piece is 17 1/2" x 12 1/2". 25 pieces. 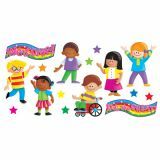 Congratulate students on a job well done or highlight class activities with this set of 10 motivational kids and 15 accents. Photos range from 8"-14" tall. Includes a 4-page teacher guide with reproducibles. 25 pieces. Motivating messages to keep kids inspired for learning success. Sturdy and durable. 5 feet long. 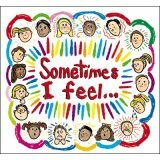 Use these 16 cut-apart emotion cards (7 1/2" x 16" each) to get kids talking about their feelings. Also includes 16 emotion word cards and a 16" x 15" header. Welcome children, showcase student achievement, and create a positive classroom environment. 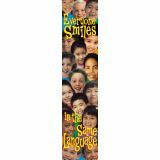 Multicultural kids promote diversity, friendship, tolerance, and acceptance. 10 kids, 10 stars, and two banners with Discovery Guide. Kids are 14" tall. 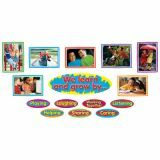 Start building character at an early age with colorful photos that teach kids how to play, share, and work together. 15 pieces, up to 26" x 8 3/4".